Fantastic Beasts Cast Visits Alabama? 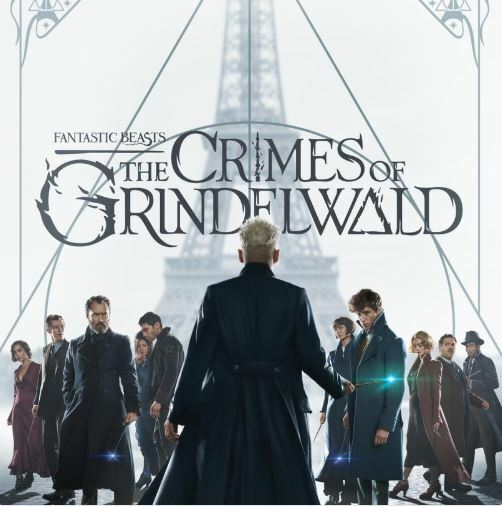 I posted a video last week of the Fantastic Beasts principal players in the red carpet appearance they made in Beijing, the People’s Republic of China. This was not a surprise; though Chinese Box Office for Hollywood productions is way down, blockbuster films like the Marvel and Wizarding World franchises make hundreds of millions of dollars there. Perhaps it is because earnings there are way down that a large part of the ensemble cast was dispatched to the totalitarian capital of the world to stir up fan interest there. 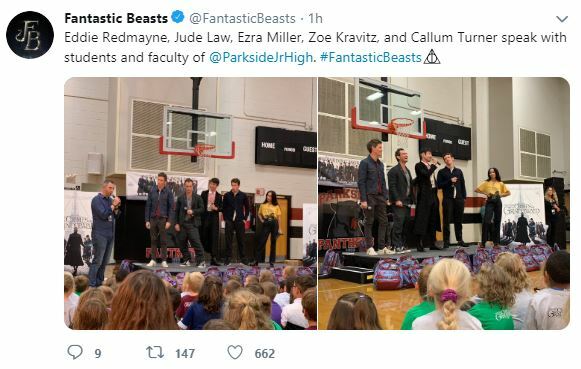 Yesterday the same crew, actually even more of the Crimes of Grindelwald cast, showed up at Parkside Junior High School in Baileyton, Alabama, population 610. I kid you not. Here are some pics from various twitter feeds to show it really happened. Why did they travel en masse to this backwater town in Alabama to visit the Junior High School there? Because Parkside Junior High was re-made this past summer into a veritable Hogwarts School of Witchcraft and Wizardry. Read the whole story of the school’s transformation here. I am skeptical, no, true confession, I am cynical when it comes to the motives of global corporations and any do-gooder activities they support. But this was a really neat thing they did seemingly in appreciation and to applaud the efforts of a group of teachers to re-enchant the lives of their students. Hmm… what if Gellert Grindelwald or Tom Riddle had managed things a bit differently in working out their totalitarian aspirations – would Mr. Trump be negotiating complexly not only with Mr. Xi and Mr. Kim but with the one, the other, or a successor of these, about interrelations with the ‘Peoples’ Republic of Wizarding’ or whatever it might be called?